Being situated in Santa Monica, TUYU organics is a premium marijuana delivery that offers not only upscale medical cannabis strains but also first-grade customer services. The company's product range is not so wide, but all the flowers are organically grown and thoroughly tested for pesticides and chemicals. At the moment, the assortment includes several Sativa, Indica, and Hybrid grades, some prerolls and gear, and a number of extracts. The staff working there is always ready to assist you and consult you on the matter of choosing the proper medication that will match your needs. All the orders are carefully checked before shipment to guarantee they arrive safely. 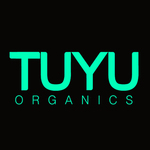 TUYU organics delivers to the west part of Los Angeles, including such areas as Beverly Hills, Century City, Westwood and many others. Make sure to check out what areas the company ships to before placing your order.